In the final episode of season 2 of the hit Showtime series Californication, down on his self-inflicted luck, writer Hank Moody has just finished a book project and is ready to begin his post-project ritual. “Every time I finish a book, It’s Whiskey, Weed and Warren Zevon, It’s the little things” he says, while ”Keep Me in your Heart” plays delicately in the background. 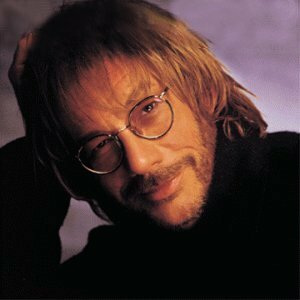 “Keep Me In Your Heart” is the emotional core of The Wind, the last album that Warren Zevon made prior to his death of lung cancer in September of 2003. The album was already in the works in late August of 2002 when he was diagnosed with mesothelioma, an inoperable form of lung cancer. The record was released on September 7th 2003 and won a Grammy for Best Contemporary Folk Album, and “Disorder in the House” a performance by Bruce Springsteen and Warren Zevon won Best Rock Vocal Performance (Group or Duo). Two weeks later Warren was dead. 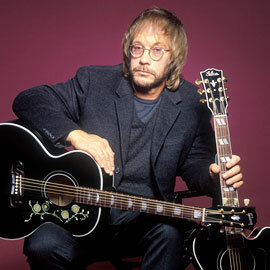 I was recently talking to a friend about Warren Zevon and was somewhat taken aback when she said, “Who is Warren Zevon? What songs of his would I know?” Resisting the temptation to beat her senseless for her reckless ignorance of music and musicians, and further resisting the urge to simply say, “You know, the Werewolves of London Guy?” I decided to educate her. There is only a limited pantheon of artists that have the true stones to call themselves singer/songwriters. This particular Mount Rushmore includes Bob Dylan, Bruce Springsteen, Leonard Cohen, and Warren Zevon. There are a few others sitting at the kiddies’ table of the mountain looking up at the big guys including Nick Cave, Tom Waits, Tim Westerberg, and Kris Kristofferson. Come to think of it, this may be the first time in recorded history that Kris Kristofferson and singer have been mentioned in the same sentence. All one needs to do to understand the songwriting brilliance of Warren Zevon is to listen to his self-titled album “Warren Zevon.” Zevon’s sophomore effort includes “Hasten Down The Wind” and “Poor, Poor Pitiful Me” both covered brilliantly by Linda Ronstadt. The song “Carmelita,” also covered by Ronstadt, for my tastes is his Pet Sounds and Mona Lisa as far as songwriting goes. Although hearing Linda’s erotically seductive voice singing the lyrics, “I’m sitting here playing solitaire with my pearl handled deck, The county won’t give me no more methadone, they cut off your welfare checks, Carmelita hold me tighter I think I’m sinking down, and I’m all strung out on heroin on the outskirts of town” is far from woody-inducing and in fact somewhat disturbing. In 1978 Warren released his “breakthrough” album Excitable Boy. It was a breakthrough album only in that it produced the only song my musically naive friend had heard of, that being “Werewolves of London.” The title was suggested by Phil Everly and the song reached number 21 on the billboard charts. The song that featured the lyric, “I saw a werewolf drinking a pina colada at Trader Vic’s….his hair was perfect” uniquely captures Warren’s quick wit and sardonic sense of humor, and features John McVie on bass and Mick Fleetwood on drums who were taking a break from Fleetwood Mac. Warren was a tremendously talented musician and a frequent guest on the David Letterman show often filling in as band leader when Paul Schaeffer was on vacation, and also served as band leader for the Everly Brothers back in his early days. One of the more poignant moments in the history of the Letterman show was when Warren was discussing his diagnosis with Dave and in typical Zevon fashion was able to handle the interview with witty comments and a somewhat morbid sense of humor. Strangely enough, the song that best spoke to his condition was released two years before he was diagnosed. The album, “Life’ll Kill Ya” included songs that were an ironic foreshadowing of the disease that was to take his life. “Life’ll Kill Ya”, “Don’t Let Us Get Sick”, and “My Sh*t’s F*cked up” were three such songs that spoke of what was to come and were featured on the album that was released in 2000. 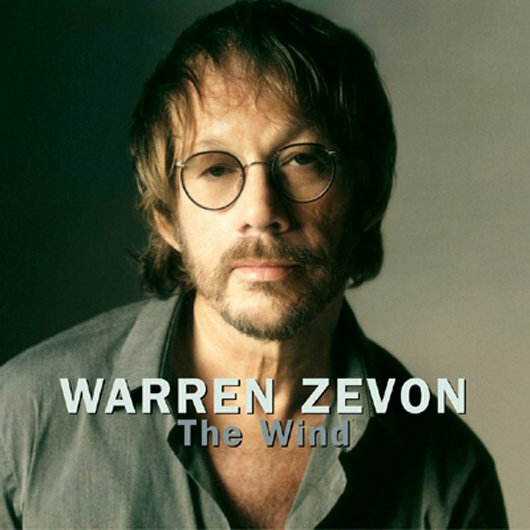 This brings us to the almost posthumous last release by Warren Zevon, The Wind. The album starts out as typical Zevon fare with themes of a life perhaps misspent, definitely lived to the fullest, with girls and friends thrown out along the way like dirty cigarette butts. The opening track “Dirty Life & Times” starts front and center with a man coming to grips with his own mortality, his place in the atmosphere, and his own realization that he has severely screwed up several places along the line and is just now paying for it. The trend continues with “Disorder In The House,” a rocker with Bruce Springsteen on background vocals and electric guitar. The house is falling down, plaster is falling from the ceiling, and helicopters are flying overhead. This qualifies as a bad day by any definition but seems to be the norm at Chez Zevon. At least there is some fine lead guitar work by Bruce to make everything seem all right. In my opinion the third song on the album “Knockin’ on Heaven’s Door” should have been saved until last. After listening to this album a couple of times lately I noticed that the vocals, understandably weaker on several of the tracks, were turned up to 11 on this one. It was almost as if Warren, his body racked with disease, his brain numbed by meds, was able to find that 11 setting on his amplifier of life one more time and gave a vocal performance as if his life depended on it with help from his longtime friend Jackson Browne on background vocals. And speaking of guest appearances, the green room in the recording studio was a who’s who of the Rock World all paying tribute to their friend. What is amazing is after reading the excellent Warren Zevon Book, “I’ll Sleep When I’m Dead” by Crystal Zevon (his ex-wife), that he was able to get any of his friends to come to these “living wake” recording sessions. Warren had a history of not treating his friends well despite their efforts to sober him up, fund and produce his albums, cover his songs, support his tours, and generally love the anguished artist. Despite it all they all show up on this album. One of the more poignant moments of the album is “Please Stay.” It is as if Zevon is saying that I know I have screwed up, there’s disorder in my house, my stuff’s screwed up, but I’m sick, and I need you. So please stay. His phrasing is pained. So much so that even the angelic voice of Emmylou Harris does not make listening to the vocal less painful. But sometimes effort and raw emotion can turn a nursery rhyme into a symphony which is the case here with sobering effect. Listen to it. It is like a musical Hallmark card. In the end “The Wind” was a love letter to his family, an olive branch to his friends and business associates, and a hell of a legacy for the rest of us fans. Now that I have completed this review I need to get my Juju on with a little Whiskey, Warren………….and……….. a cigar. Probably one of the most unerrated artists out there. But just look at the personell on the last album to see how much the music world respected him. VHS alum Gina Fattore is a producer of “Californication” and she’d get an earful (e-mail-ful) of appreciation from me at every Zevon ref. According to Ms G, “The Duchov” is a big Zevon fan, hence a “Life’ll Kill Ya,” quote and his daughter playing “Don’t Let Us Get Sick” at her gig, among quite a few others. Now I may have to NetFlix the first couple seasons to re-acquaint myself with the Sickness that is Hank Moody, “Keith Richards for President” T-shirt and 70lb TKO heavy bag and all (both of which I also possess and demanded compensation from Ms G until she correctly pointed out that those items were about all I had in common with the character. Well, that and dark hair). 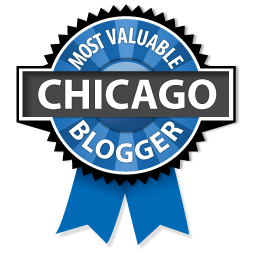 Just discovered your blog and have it in my Google Reader now. Really enjoyed reading your Warren Zevon post. Good stuff! I ,too, am amazed, when bumping into a music fan with NO idea about WZ’s body of work. Your post was a nice bit of education. He is my favourite singer and everytime i listen to The Wind it makes me cry so bad. RIP my closest friend Warren Zevon.